As one who has experience on both the agency and client side, it was with great interest that I read Shareen Pathalk’s article; “Anatomy of an Agency Talent Crisis” on Digiday. Before we examine the talent challenges identified by the author, let’s take a look at the current agency compensation landscape. As advertisers and agency practitioners know, agency remuneration practices have clearly migrated from a commission based system to a fee based model, which is now employed in approximately three out of every four client-agency relationships (source: ANA Agency Compensation Survey, 2013). Further, a majority of those relationships utilize a labor-based rather than output based or fixed fee approach. Thus, one way for agencies to optimize revenues involves deploying more experienced, personnel with higher bill rates on client assignments… at the expense of less experienced individuals compensated at a lower rate. In labor-based remuneration systems, higher bill rates are directly correlated with higher compensation levels. For an industry which relies so heavily on people, it is imperative that agencies find a way to address this dynamic in order to attract their fair share of intelligent, energetic college graduates looking for meaningful career opportunities. 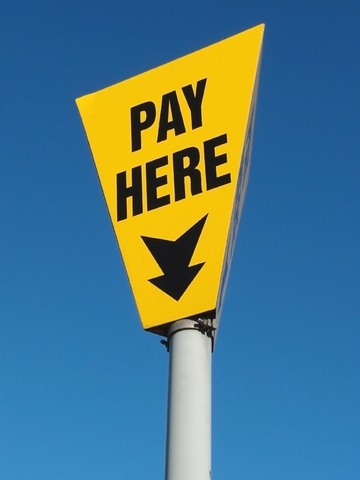 So what’s stopping agencies from paying better wages for entry-level talent? According to Nancy Hill, President, CEO of the 4A’s; “The benchmarks are in a place where we can’t raise our salaries.” While it is not entirely clear which “benchmarks” Ms. Hill is referring to, one potential concern is likely the agency communities desire to maintain their cost competitiveness in the eyes of the advertisers. While this has some merit, direct labor cost is but one component of an agency fee and the corresponding bill rates which it charges advertisers. Overhead rates for example can vary greatly from one agency to another often running between .85 and 1.25 times an agency’s direct labor cost. Additionally, profit margins used to calculate base fees also differ from one shop to the next. For the sake of example, let’s look at two hypothetical scenarios. Agency #1 is offering entry level media planners $28,000 per year in salary and presently uses an overhead multiplier of 1.25 x direct labor and a profit margin of fifteen percent applied to the combination of direct labor and overhead. Based upon an eighteen-hundred hour annual full-time equivalent level, this would result in a fully-loaded hourly rate of $40.25 for that media planner. Agency #2 is offering entry level media planners $35,000 per annum, uses an overhead multiplier of .85 and a profit margin of seventeen percent. In this latter example, the fully-loaded hourly rate would be $39.27. In our experience as agency contract compliance auditors, working with several of the world’s leading advertisers, we have a breadth of experience in reviewing agency remuneration practices. As such, there are two things which we can share. First and foremost, in our opinion the difference in bill rates in the aforementioned example is imperceptible from an advertiser’s perspective. This is largely because most labor based compensation agreements utilize functional or departmental billing rates, rather than actual direct salary costs as a base for calculating fees. Ask any advertiser when they saw a billable hourly rate of less than $55 for an assistant media planner, which is still significantly higher than either of the fully-loaded rates referenced above. Secondly, there is a great deal of subjectivity utilized by agencies in establishing overhead rates and much of the methodology employed to calculate those rates is not transparent to the advertiser or subject to independent review. The net take away… agency’s have a choice when it comes to talent recruitment, development and retention. The fact is, there are no advertiser imposed constraints or industry benchmarks which restrict an agency’s ability to rethink entry level salaries or in limiting what an agency spends on training and development of their new hires. Perhaps the only impediment is the lack of creativity currently being demonstrated by many in the agency community when it comes to talent management. ← Still Want to Buy a Banner Ad?